This wedding vision expresses an intensity of design inspired by dramatic Gothic architecture, rustic finishes and Grimm Fairy Tales. 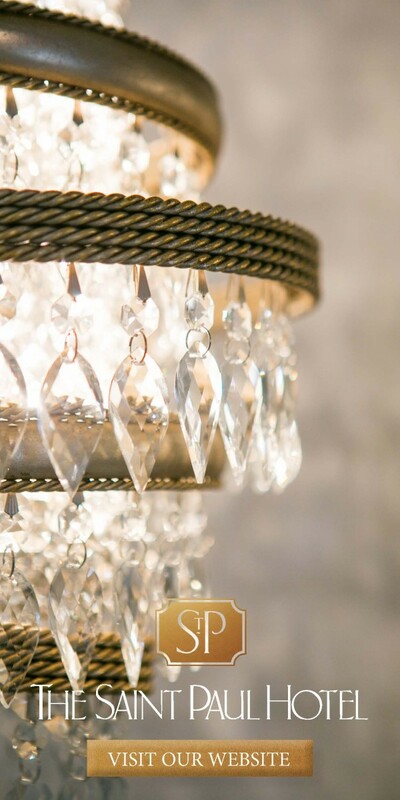 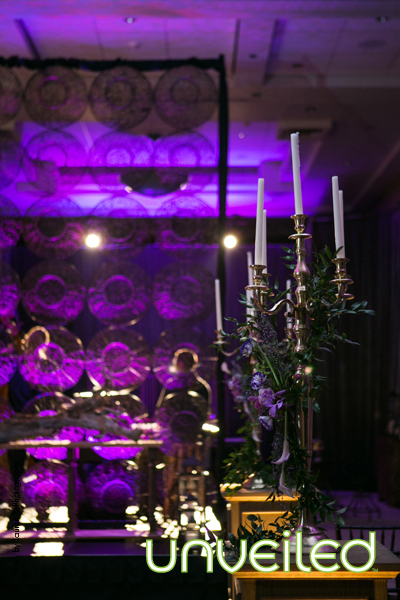 Embracing muted dark tones, wooden accents and nostalgic aesthetics, these rich tones and textures are paired with flickering candles, classic patterns and bold floral accents giving a nod to a mysteriously enchanted wedding. 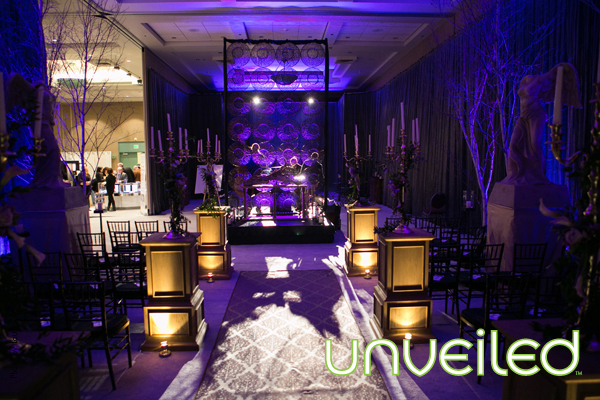 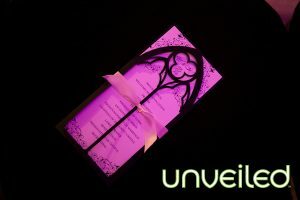 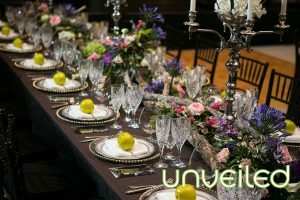 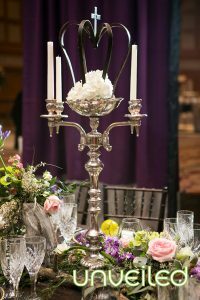 This gothic wedding theme will immerse your guests into a stylish world of divine elegance, refined textural contrasts and a luminous atmosphere. 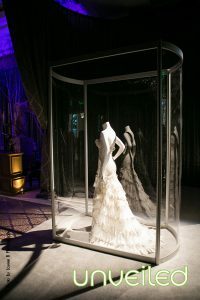 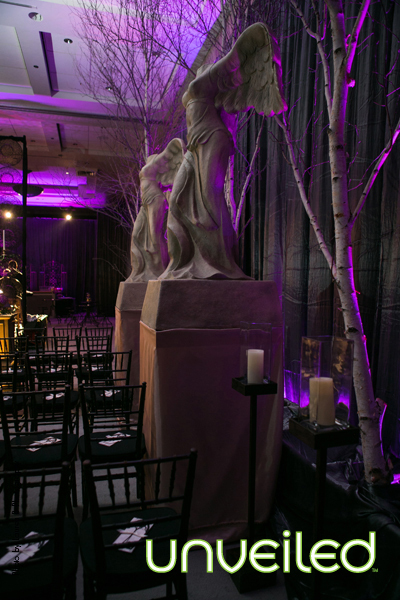 If “gothic” sounds a bit extreme for you style, think Twilight’s enchanted woods meet classic Parisian architecture. 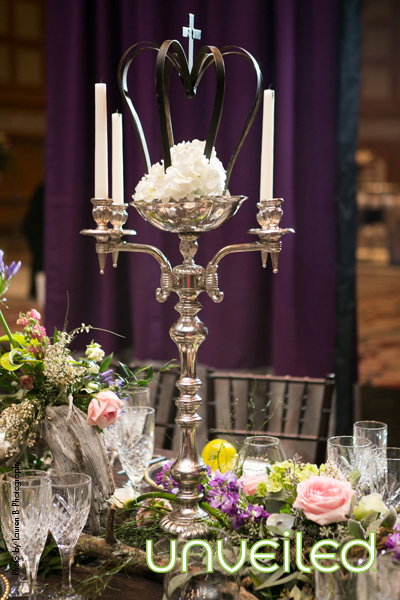 The dark romantic vibe collides with the timeless elegance of Parisian ambiance in our version of gothic. 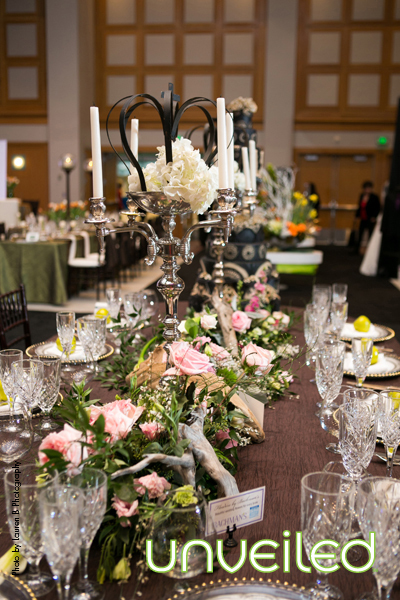 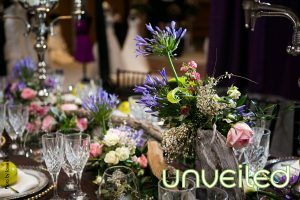 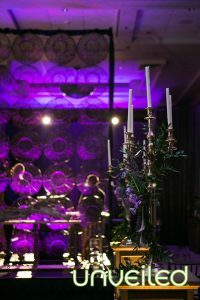 Centerpieces included natural wood and wildflowers intermixed with chrome candelabras complete with flickering candlesticks. The fresh and light colors of the wildflowers added a nice contrast to the deep purples and other black décor elements. 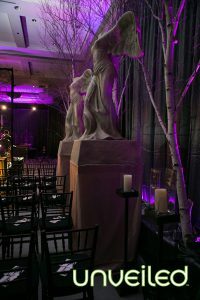 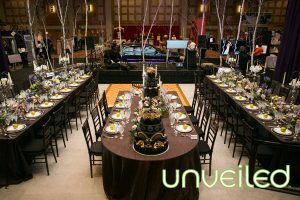 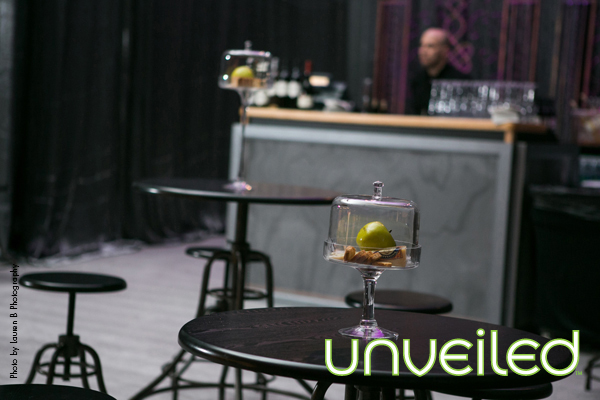 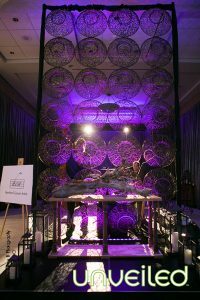 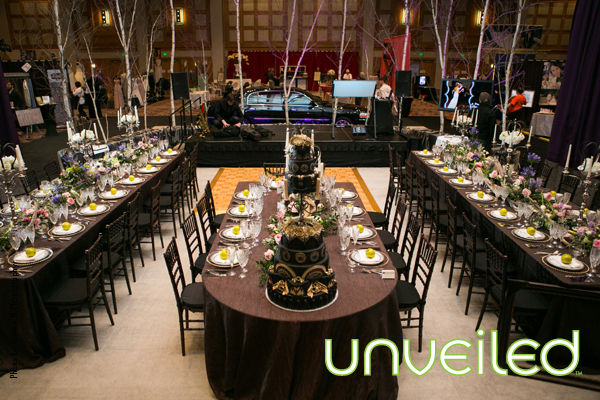 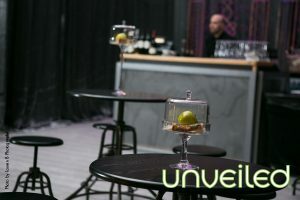 Guests enjoyed a cocktail room that featured unique and trendy iron tables and bar stools. 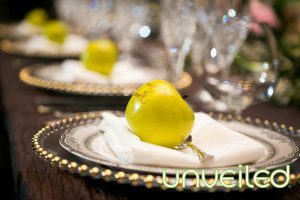 Glass centerpieces filled with bright fruit topped the cocktail tables and added a pop of color to the dark mysterious setting. 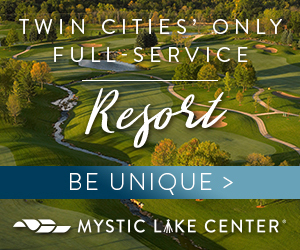 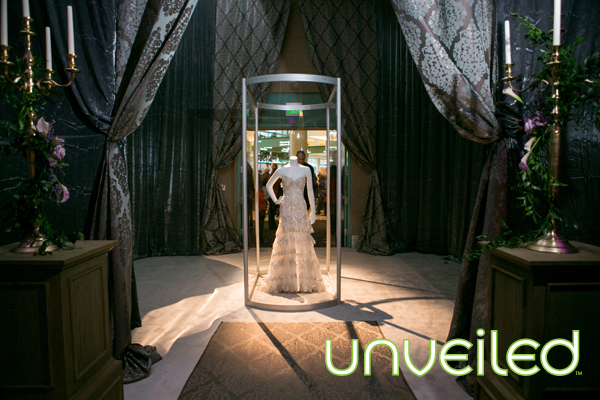 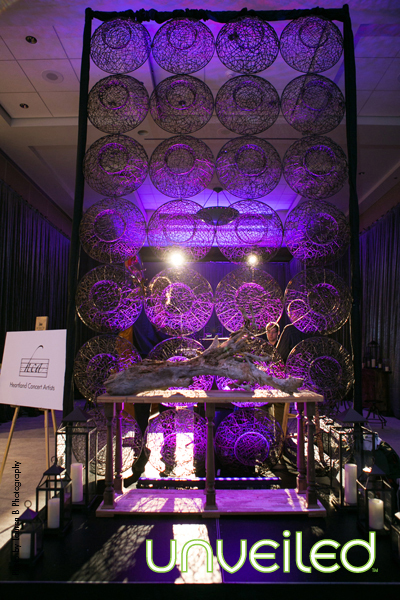 Even the programs featured the cast-iron architecture inspired elements. 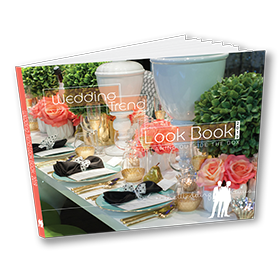 Fashions for the bridal party included edgy-yet-elegant avant-garde looks, using neutral tones of ivory, cream and beige rather than white. 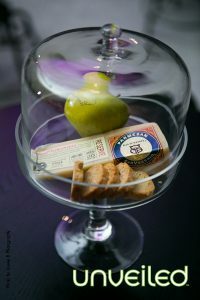 Finally the wedding cake wasn’t just a treat for taste buds, but also for the eyes! 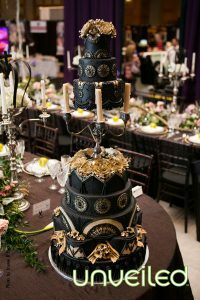 The three-tier cake sat atop a vintage candelabrum. The black lace inspired cake was finished and decorated with muted gold and cream flowers. 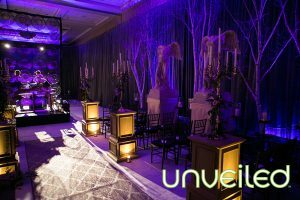 If you are tired of the pastel floral themed weddings or this fall Halloween season filled with rich warm colors has you feeling inspired, this dark and romantic gothic theme might be just right for you!